Jungle Paradise, in Dawsonville Georgia, it is beautiful, relaxing, and a unique experience. Take a leisurely stroll through the gardens and view the many rare and unusual flowers. Enjoy the sounds of the stream running along the path through the gardens while you picnic or the kids play at the playground area! 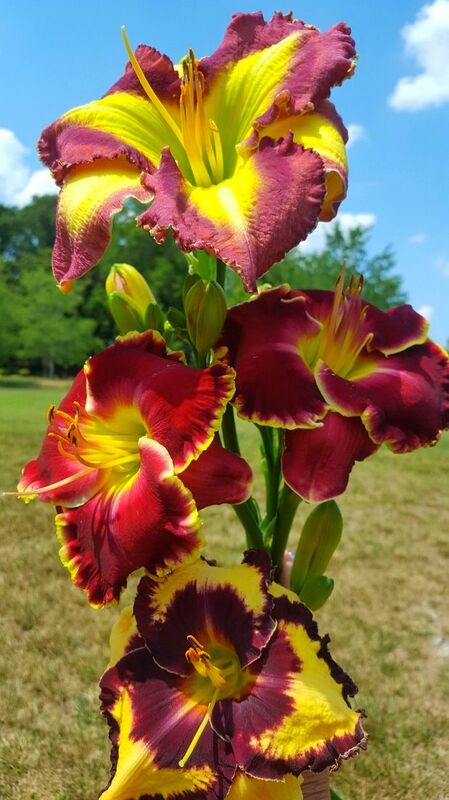 Flowers are blooming from March to October, we specialize in hybridizing (cross breeding of the daylilies for 32 years). We offer a place for small events, with pavilion in the garden and public restrooms. (call for reservations). Easter threw 4th of July most blooming!! !